Ever rode the surf and had the best time of your life? Or have you watched and dreamed of being able to feel the freedom and adrenaline when you see how great it looks? Then you notice when the waves aren’t up to much there is still activity on the sidewalk that looks just as inviting, you see the longboarders and that’s it! On first glance, you may be forgiven for thinking that a longboard is just a faster skateboard – but there are fundamental differences that cause each model to behave in different manners. Size can be an immediate give-away when you are deciding which board is a longboard and which is a skateboard; most longboards are by the reflection of their name, long. They are varied in size but are usually between thirty-three inches to fifty-nine inches long and have specific features you just won’t find on a regular skateboard; such as drop decks, drop throughs and fish-tails to name a small sample. They are used for more practical purposes a lot of the time – they make a commute to work that little bit faster or the dash to freedom at the end of your working day. They can also create great rushes for those of you who are adrenalin junkies; the thrill and speed some longboards can offer is eyewatering. And with the correct skill and practice you can be racing downhill for the best thrill ever. Fundamentally, longboards are sort of grown-up skateboards – but hasten not too much nor too fast; safe practice and training along with suitable safety gear should be as important to you as is the purchase of a good longboard. The thrill of speeding downhill, or the slaloms you can complete, coupled with the tricks, dancing and freestyling you can achieve when longboarding is the ultimate buzz. Of course; you need to stay within your own limits and capabilities to an extent but having said that; if we don’t push ourselves in the search of new horizons we won’t get anywhere. The pure rush you get when you test yourself and try something new is priceless – so this guide and review of the best ten longboards is put forward as a basic go to for a few simple things you may want to think about before you go hunting for your perfect longboard. 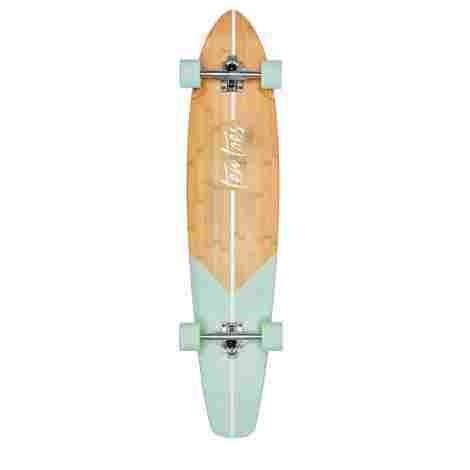 This forty four inch longboard is produced using maple hardwood that is strengthened by multi layering, it boasts a bamboo deck that is designed to a high specification. The forty four inch longboard is ideal for cruising with the unique artisan styling, and the full Quest range includes Original, Freestyle, Boardwalk, Beach, Downhill, So Cal, Heritage and the Cruiser. Each style is made to serve a useful and long lasting board ride. The Quest Super Cruiser benefits from seven-inch aluminum trucks, and ABEC seven-speed bearings for a smoother ride and enables tight turning for an all-around improved ride. The seven-ply bamboo offers greater flexibility and promises all-around high performance. The quest cruiser weighs in at a light ten pounds which makes it convenient for carrying when riding is not viable, the overall size measures forty-three-inch by nine-inch by forty-four-inch and improves the functionality. 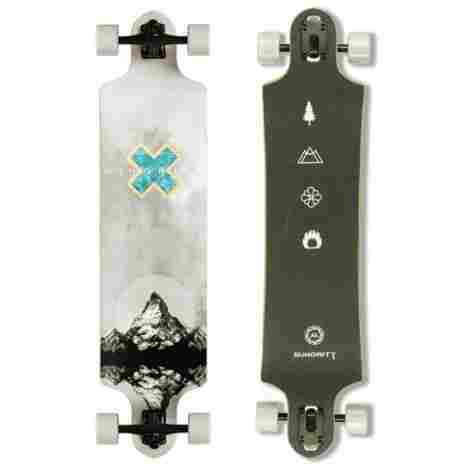 The quality of the genuine components and technologically improved deck, combined with the trucks and gear systems ensure that this is very well proportioned when considering both cost and value and is a worthwhile longboard for the price. The Ten Toes Emporium longboard is available in twelve stylish and striking color designs, it is produced with bamboo and maple and boasts a bamboo deck and kick tail. It measures in at forty-four-inches for a comfortable professional feel when cruising, and the vintage California look boasts being designed in Los Angeles for a real American look. The smooth finish and quality manufacturing process makes this board all the more cosmetically appealing. This longboard benefits from quality components including a seven-inch truck system with a gliding reverse kingpin for a more responsive and reactive ride. The inclusion of ABEC seven bearing aims to produce an even smoother roll. The wheels are seventy by fifty-one millimeters with an eighty-five a set of PU wheels, and the tough PU cast black bushing comes in at ninety a for an improved and more comfortable ride even when riding on the sidewalk. Considering both the cost and value of the Ten Toes Emporium cruiser longboard, the balance is well reflected in both areas, and with the quality components used and improved smooth rolling – this longboard is great value for money. This longboard is designed as a drop through camber deck and boasts a forty-two-inch drop. It benefits from being produced with eight ply maple with epoxy glue for longer durability and sustainability. 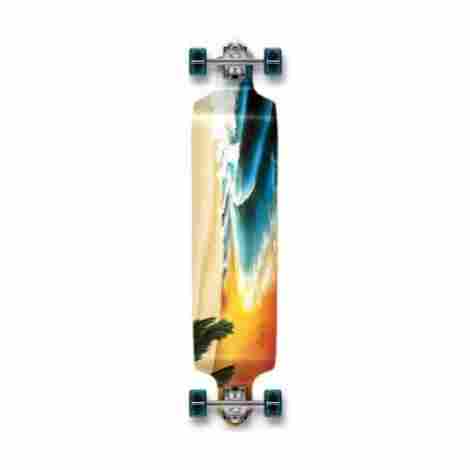 The longboard is available in a great range of twelve striking colors, and globally influenced graphics. The deck is flexible and works as a shock absorber which provides a smoother and more comfortable ride. The VOLADOR freeride longboard boasts genuine aluminum seven-inch reverse kingpin trucks that are conveniently adjustable to either fifty or forty-five degrees which offer a better choice for maximizing movements. The symmetrical shape allows sharp maneuvering and reduces wheel bite from any angle, it boasts a cold pressed camber concave deck to improve the performance and enhance any ride with smooth and extreme capabilities. 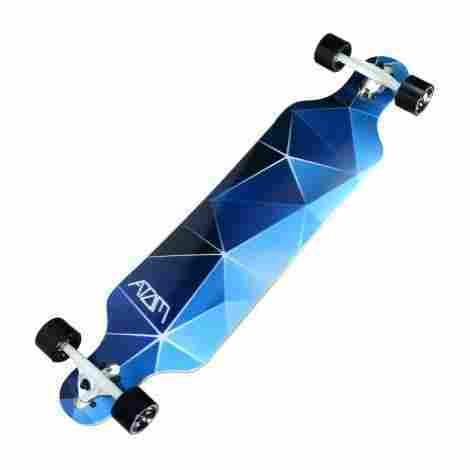 The environmentally friendly sourced materials add to the appeal of this longboard, the genuine component parts combined with the striking and stylish cost-efficient and value-packed longboard that is great for superior long boarding. This longboard is offered as a complete starter for any age range and is suitable for weights up to two hundred fifty pounds. It is produced using eight ply flex maple for the deck which is formed in a flat and symmetrical style for optimum comfort. The Playshion longboard has ample scope for freeriding and freestyling, for curving, cruising and sliding which allows even the earliest boarders to learn and have extreme fun in the process. The longboard benefits tough but soft seventy by fifty-millimeter SHR seventy-eight A polyurethane wheels that will improve the ride no matter what level of experience held by the rider. The Playshion thirty-nine inch has lightweight seven-inch aluminum trucks that boast ABEC seven bearings for a better roll making for a smooth ride, in addition, it has PU cast red bushing at ninety A. The balance between cost and value is reflected well when taking into consideration the quality materials and components used in the manufacture, that, combined with the versatility it offers as a starter longboard – makes it great value for money. This one hundred percent maple wood deck is forty inches long and is designed using a drop model style that offers a classic downhill longboard. The board is specifically produced to enable downhill speeds with its low gravity and the stability is improved with a ten-inch width deck and an impressive thirty-seven-inch wheelbase. All these techniques used in this longboards production aim to give the most pleasure on any downhill ride. The Minority Downhill longboard is complimented with seventy by fifty-one-millimeter seventy-eight A PU wheels that combine with ABEC nine precision bearings; to provide an ultra smooth ride that rolls with ease. The longboard is fitted with genuine seven-inch aluminum reversed kingpin trucks that are fully adjustable for personal preference to either forty-five or fifty degrees. This offers a more comfortable and manageable ride. The impressive range of stylish and striking designs, combined with the features including the eight ply cold pressed maple and the reverse kingpins ensure that money spent on this is money well spent. This longboard is available in five unique designs; Tiki Banner, Owl, Purple Veneer, Blue Geo, and Bamboo. Each striking design is applied with photo heat transfer technology that seals the colors and gives a high-quality finish. The deck is constructed from eight ply maple laminate and is produced to provide a comfortable drop through that reduces the risk of wheel bite and increases longevity. The Atom Drop Through boasts heat treated CRMO axles with combined grade eight kingpins, the added adjustability is offered with a reverse kingpin that gives a degree of fifty for an improved riding experience. The longboard is designed for fast riding and this is improved with the addition of fifty-one to seventy-millimeter diameter by fifty-one millimeters wide, coupled with seventy-eight A super high rebound – allows better speed capabilities. The relative higher end price of this Atom Drop Through is reflected well with the overall quality of the components used, and the classy finish adds to this. The value and cost of this longboard are well balanced for this superior board. The RIMABLE drop through longboard is offered in five unique and striking designs; black sculls, Canadian maple dream catcher, Canadian maple Polynesia, red sculls and black with contrasting yellow. Each design has bold wheel colors that are visually very bold. The board is produced using cold pressed nine-ply maple that is laminated for a tougher and more durable board. The longboard has an edge with the addition of high-speed lubricant to the bearings, which improves not only the comfort but the speed attainable and the smooth rolling when riding hard. The freerider shaped longboard measures forty-one by nine point five inches that boasts a seven inch one eighty aluminum truck that has the benefit of high elastic bushing for better rideability and performance. 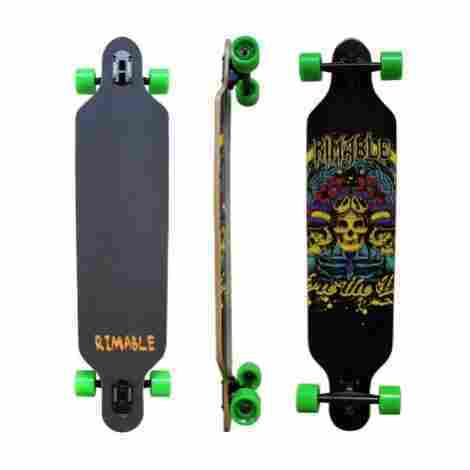 The RIMABLE drop through longboard is reasonably priced, and the added quality features and unique designs ensure that this is well reflected in the value as well, overall an excellent longboard for the price. 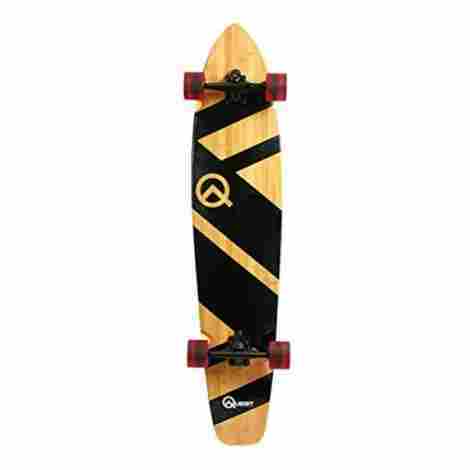 This longboard is designed specifically with both stability and carving in mind, it is produced with full maple laminate and has a very striking and appealing color design with contrasting wheels. The smoother rolling capability it offers means an easier push so makes it ideal for using in busy urban areas as well. The lower construction provides a stable and smooth ride which increases its overall versatility and multi-purpose use. The Atom Drop Deck has a reverse kingpin and adds two hundred forty-five millimeter axles and with the addition of ABEC nine bearings and lubricant – allows for better turning and speed with comfort. The longboard has the benefit of wide lipped super high rebound eurathane wheels that measure in at seventy by fifty-one millimeter for an even better roll and provides more grip when needed the most. 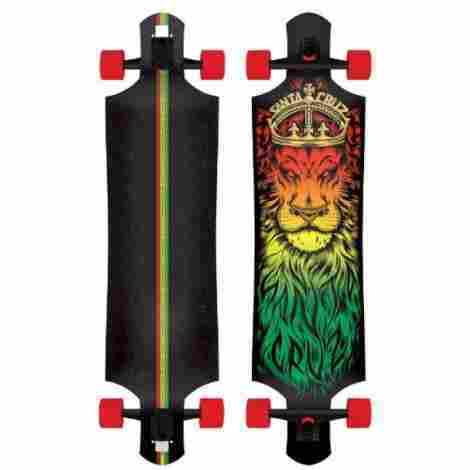 Santa Cruz offers this Lion God longboard with a bold, striking, colorful and contrasting design. 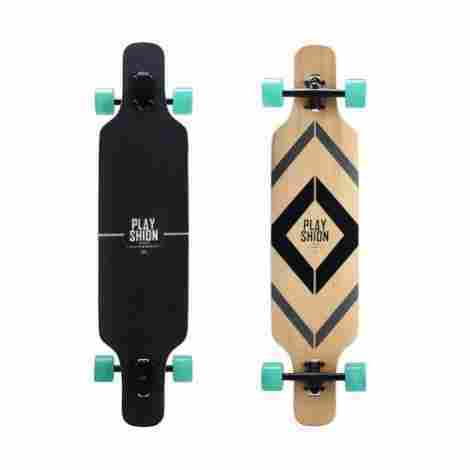 It is constructed using nine-ply maple wood and measures in at forty by ten inches, and weighing in at a mere seven pounds this is an ideal longboard for using in busy urban areas and is less uncomfortable when carrying is required. The drop through design of the Lion God longboard makes it more stable and reduces the risk of wheel biting, the components used also make this a very fast ride which is not only a good roller but is also very smooth. The longboard is versatile enough to be used for carving and sliding, its lightweight bulk and design make it very practical for riding in built-up paved areas, added to this is the comfortable ride when undertaking longer rides. When considering the cost and value of this Santa Cruz Lion Gog longboard, the combination of the multi-use versatility it offers, along with the speed and carving ability – it is well balanced on both and is excellent value for money. The YOCAHER professional longboard is available in a huge range of twenty colorful designs that are measured at forty-one point twenty-five by nine inches. The deck is produced using nine-ply maple that offers a high flex concave finish for extreme experience. It benefits from being provided as a fully assembled unit so is ready to ride as soon as it arrives for ultra convenience. The longboard boasts ABEC seven chrome bearings which are complemented with black widow premium grade eighty a grip tape for the ultimate ride, and the top-mounted trucks reduce the risk of wheel bite. The components are quality assured and include one hundred eighty millimeter hangers that are aluminum alloy, with heavy-duty trucks for an altogether better ride that allows durability and speed. Taking into consideration the quality materials used in the construction of this YOCAHER professional board, combine that with the smooth rolling and comfortable ride offered, it is ensured that money spent on this longboard is money well spent. Longboarding evolved from skateboarding between the late 50’s and 70’s, as surfing grew in popularity and subcultures became more abundant; it became apparent that when the surf was down, there was still the need for the rush and adrenaline that riding the waves could bring. People would, in the beginning, use makeshift planks of wood and ad-hoc wheelbases; the developing interest in the new skateboarding craze led to new ideas and pushed creative boundaries to create a proper board. Sidewalk surfing saw the emergence of the longboard because originally, skateboards were mostly available in toy shops and consequently – were small and short. Older kids started to tackle together the longer boards to enable better board management and the possibilities for use grew further. And although skateboarding was considered a craze and has subsequently gone through a series of ups and downs, the activity has never diminished totally; more so contemporarily it has grown with the times and adapted to suit ever-changing demands. But both skateboarding and longboarding have stood the test of time and are both now considered as a serious sport, competitions, and championships worldwide help the high rush, no fear sport of longboarding continue to grow. When you think about buying your longboard, the first place you need to begin is to decide what you want to use it for and some consideration should be given to your level of experience. The more popular uses for longboarding include downhill racing, (not for the faint-hearted!) slalom riding for more precise moving and simply cruising around town or for sidewalk surfing. Whatever reason you are thinking of longboarding for, chances are you already have a use in mind, as long as you keep that thought high on your priority list – you should be able to find an ideal longboard that best suits your requirements and matches your level of expertise and capabilities. The variety of different styles of longboards is quite vast, and different types are better for varying uses. The obvious evolutionary break through and change from a skateboard is the length of the longboard. You would be advised to check the length of your intended purchase to ensure it will not be too long for you be able to maneuver safely and to the best advantage. Shortboards are generally around thirty to forty inches long and offer a unique ride which is very practical if you find yourself having to carry your board for any length of time. A downhill longboard is designed to do just that, riding down hills at speed; and the board shape is often specifically designed with a definitive curve to the rear and the front to reduce drag and improve directional changes. The better quality longboards will have superior bases and tracks to reduce wobbling and shuddering that may have painful consequences when speeding downhill. For a more relaxed longboard, there are the drop through styles; these allow you to cruise in a more stable position and offer a freer ride in relative comfort and safety. A carving longboard benefits you because it makes quick avoidance movements a lot more smooth to execute, the open track in front of you may look clear, but a carving longboard will let you avoid obstacles and help to keep you upright through its perimeter shaping. If it’s a shorter distance you are using your longboard for, for instance a peruse around the block or mall, then a cruising style may be right up your street. They are designed with wider decks and trucks for an exceptionally stable ride; these types are well suited for younger boarders and learners. For a more lightweight and flexible longboard, bamboo longboards are super light and this gives them the advantage of being easy to do tricks and they are less expensive to buy. The shape of the longboard can alter its overall suitability for different uses and levels of experience. For the beginner, a blunt longboard is generally thought of as a good option because it provides great stability to raise confidence as skills and experience grow, they have a wide front and rear end and restrict tight sharp turning. A pintail longboard is wider at the center and sharper points at the front and the rear, these help to improve both direction and balance. 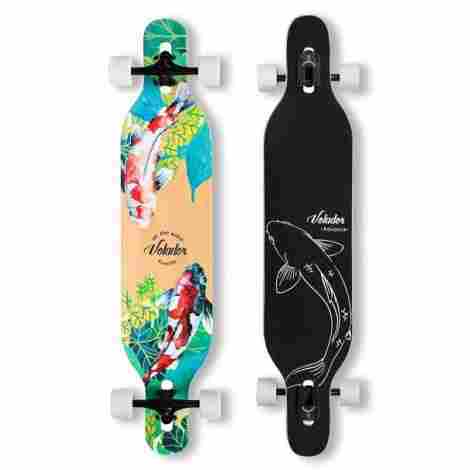 A similar design comes in the form of a fishtail longboard, these have a wider rear end that is split, hence the name; and these are better suited for longer cruises and improves turning. For the more adventurous of you, twin longboards are ideal for performing stunts and tricks and they enable multi-directional boarding with the wider board and larger, softer wheels. A cutout longboard has a thinner front and end with the base and trucks being positioned at a lower point to vastly speed up the longboard when using with speed. Drop down longboards are shaped higher at the front and rear over the trucks, with a drop in the middle for improved stability and comfort, it also enables a smoother push. A speed board is designed for quick rides and is higher at the front than the rear, with a smooth curve between the two for comfort, they also aim to improve stability at speed. 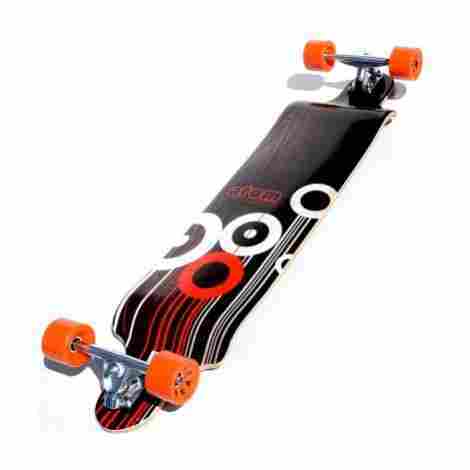 A mini cruiser is available for experienced longboarders; it offers speed and optimum turning capabilities but is usually only around thirty inches and should be used by professionals. There are a variety of different materials used in the production of longboards, and these include maple wood. 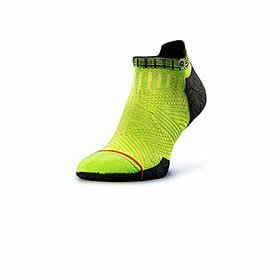 This is a very popular material because it is tough and lasts for longer, and enable a better life in the purchase even if you ride hard and tough. Bamboo is becoming more commonplace and benefits from being more flexible than maple, and as a bonus, it is very light so won’t bog you down when it’s strapped to your backpack. Technological improvements are constantly evolving and carbon fiber is the latest material to be added to the longboard category. It is more expensive than some of the other products but offer a better, faster push off and ride; consequently, they are highly favoured by the professionals in the field because of the improved ride, having said that however – there are lighter weighted wooden boards that still offer a similar experience to the super expensive versions and you should always do your own compare and contrast before you take the plunge and buy your new board. You may think bigger is better when you’re looking for your ideal longboard – but heed a few cautionary tips before you take the plunge. Generally speaking, longer longboards of fifty inches are recommended for taller people and are designed for longer, more cruising types of boarding rides. Middle longboards of around forty-two inches are recommended as being suitable for most types of riding and most body sizes, they are an ideal intermediate board that is good for cruising and maintaining great stability. The shorter sized longboard at around thirty-four inches is best suited for younger, smaller riders and offers a great starting place for beginners. You should always make sure the board width best suits your individual needs too; they are often presented in narrow and wide forms. The latter is wide across the whole of the central board, whilst the narrow is only wide at a single point on the point. Your individual levels of experience should be a great place to start when you are shopping for a longboard, hopefully, this basic guide has given you a useful starting point on which you can build on. As long as you err on the side of caution, you should be able to buy and use your longboard safely and for maximum enjoyment. But as a note; always make sure you are wearing the correct safety gear and make sure you are riding in a safe zone, you may not think it’s awesome to wear but it’s better for your own protection if you are unfortunate enough to fall. Within the source list below, you will find handy links to some sites that offer invaluable information regarding sizing, setting up through to uses, there should be a site here to point you in the direction you need to answer any further queries you may have. Q: Will different wheels affect my ride? A: It can, although it does depend on what wheels you have and where you want to ride. Wheels are measured by durometer, this reading gives a better understanding of the hardness or softness of the wheel. Softer wheels are generally around 75a and 80a and will give you more grip and a smoother ride, mid-range between 81a and 86a offers a balance between both gripping and sliding and is intermediate hardness, and 95a and above are harder wheels that are better for park riding and offer minimal grip. Q: My longboard wobbles when I’m going downhill fast, how can I stop this? A: Speed usually means a certain element of wobble, but if you are experiencing high levels of wobbling you should try to avoid making sudden corrections as this will accelerate the board’s reaction and increase the wobble. For more serious wobbling that is recurring, there may be value in getting your bushings checked to make sure they haven’t gone too soft, and your back truck may not be tight enough. If you are in doubt, you would be best advised to take your longboard to an experienced dealer to obtain crucial safety advice. Q: How can I avoid sudden stopping and flipping when riding on the sidewalk? A: Check for cracks that are in the pavement, and always attempt to hit the cracks at a slight angle to help reduce impact and keep the balance of the longboard traveling over them. Q: Is there a difference between a longboard and a shortboard? A: Aside from the length, the difference is their use, shortboards are lighter and easier to maneuver in busy areas and are lighter to carry when you can’t ride them. A longboard is heavier and possibly more tricky to move within busier areas. Q: I’ve heard better bearings can improve my speed, is that correct? A: Short and to the point, the answer is no, they will, however, maintain rolling for longer periods. The wheel has more of an implication for the speed, larger wheels will be slow when pushing off but will be faster at speed, whereas smaller wheels have a fast push off but are slower. Q: How do I keep my longboard maintained? A: You are advised to clean away excess dirt with a soft brush or sponge and water and keep an eye on the board because build ups of both dirt and dust particles can cause long-term damage if not washed away. You should only use detergents with caution because they may harm the finish on your board.